Food and beverage plants spend about 20% of each day cleaning equipment. The key word in that sentence is “spend.” Labor, downtime and energy expenses that result from inefficient cleaning is costing these manufacturers revenue that could otherwise be put toward the bottom line. By identifying ways to improve CIP efficiencies through advanced pump technologies, food and beverage plants can increase throughput. Here are 3 strategies plant managers can pursue to mitigate operational inefficiencies. Eliminate time and labor devoted to equipment disassembly. “Some disassembly required” increases labor costs and downtime. Pumps that must be disassembled for cleaning ­– or require extensive manual cleaning procedures – can compromise a plant’s potential profitability. In many cases, cleaning requires the efforts of several technicians over the course of an entire shift to complete. Plant managers who utilize advanced pump designs that eliminate disassembly for CIP will streamline cleaning processes while creating the opportunity for expanded production and higher margins. Determine how your pump’s design makes it CIP-capable, because not all pumps that are marketed as CIP-capable are created equal. Some pumps are marketed as CIP and/or SIP, but they sacrifice performance capabilities ­– such as flow rate efficiencies ­– or require additional prep prior to cleaning. Some pump manufacturers achieve CIP status by increasing clearances within the pump, which reduces efficiency. Innovative pump manufacturers are designing pumps that do not require parts to be removed prior to cleaning, nor do they compromise performance through engineering shortcuts. Reduce changeover times through single-use technologies. The increased product variation demanded by today’s food and beverage consumers increases the frequency of changeovers. Shorter changeover times help food manufacturers increase output. 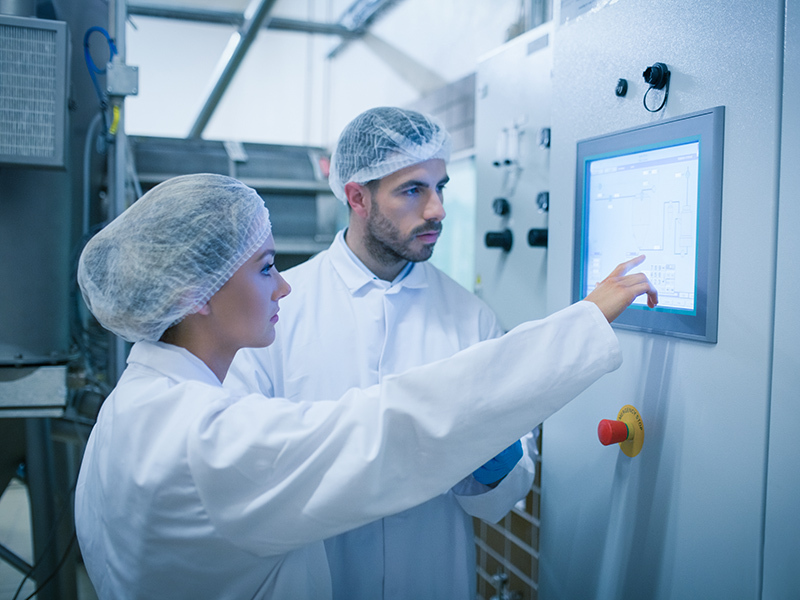 Single-use pumps, previously reserved for pharmaceutical and biopharmaceutical applications, are bringing significant time savings during batch changeovers to food manufacturers. It takes as little as 15 to 30 minutes to install a single-use polypropylene chamber and return a pump to service. By eliminating time-consuming cleaning, sterilization and validation inefficiencies, downtime is minimized and production can be increased. Download our white paper to learn more about how today’s advanced pumps help food and beverage manufacturers save significant time and money on the production floor.